Sept soybeans finished at $9.84 ½, up 11 cents, whilst Nov finished at $9.03, down 23 ½ cents. Tight old crop stocks and short-covering after recent losses propelled the September contract to higher levels. Better than expected weekly export sales also added support. The USDA pegged US production at 88.3MMT, 1.3MMT higher than previously, they also raised soybean production in Brazil 2MMT higher to 62MMT. Additional pressure came from the USDA also raising its 2008/09 and 2009/10 soybean ending stocks from its previous forecasts, and continuing favourable crop weather over much of the Midwest, aiding soy development. Sept corn settled at $3.14 ½, up 5 cents, Dec corn settled at $3.19 ¾, up 4 ½ cents. The USDA raised its projected 2009/10 domestic usage of corn and reduced its forecast for China’s crop production. 2008/09 and 2009/10 corn ending stocks came in below the average trade estimates and better than expected weekly export sales of corn added support as well. The USDA forecast 2009/10 global maize production 2MMT lower at 794MMT, as smaller production estimates for South America, China and the EU27 more than offset a gain of 5MMT in US production. Sept wheat closed at $4.41 ¾, up 9 cents. Late session short-covering led futures to end in positive territory after reaching new contract lows earlier in the session. A lower US dollar index and higher than expected weekly wheat export sales also added support. The USDA estimated global wheat production 4MMT higher at 663Mt (682MMT in 2008/09) on the back of higher production in the EU and Russia. The increase in production leads to ending stocks for the 2009/10 season of 186MMT (169MMT in 2008/09). EU wheat closed unchanged to slightly lower Friday, with little in the way of end-user buying in evidence to support the market. Paris November milling wheat closed down EUR1.25 at EUR120.00/tonne and London November feed wheat closed flat at GBP92.25/tonne. Farmers remain reluctant sellers at these levels, and are busying themselves with wrapping up the last of the harvest in the first prolonged fine and sunny spell that the north and west have seen for quite a while. In the UK the winter wheat harvest is around 90% complete, according to ADAS. An estimated 70% of the spring barley is in, with a similar area of spring OSR also cut, they add. The UK national average wheat yield is expected to be close to the UK five year average of 7.9t/ha but ranges from 5.0 to 12.5 t/ha, they say. The quality of recently harvested grain is still good with specific weights of 71-76 kg/hl, Hagbergs of 220-280 (higher in northern regions and Scotland) and protein 12-13%. The USDA raised it's global wheat production estimate by 4MMT to 663MMT (682MMT in '08/09) on the back of higher production in the EU and Russia. The increase in production leads to ending stocks for the '09/10 season standing at 186MMT (169MMT '08/09). I'm taking a day off from blogging today and treating Mrs Nogger#3 to a weekend away in a cottage by the North Sea, no not Middlesbrough, here. There will be a couple of updates over the weekend, and things will be back to normal Monday pm. Sept beans closed at $9.73 ½, up 12 cents, and Nov closed at $9.26 ½, down 2 cents. Positioning ahead of Friday’s USDA reports kept futures mixed. The average trade estimate for 2009/10 soybean production is 3.253 billion bushels, with an average yield estimated at 42.38 bushels per acre. Higher crude oil futures and a lower US dollar index lent a supportive tone to futures today. Sept corn settled at $3.09 ½, up 4 cents, and Dec settled at $3.15 ¼, up 5 ½ cents. Short-covering and positioning ahead of Friday’s USDA reports lent a supportive tone to futures. The average trade estimate for 2009/10 corn production is 12.932 billion bushels, with an average yield estimated at 161.438 bushels per acre. Both estimates are larger than the previous USDA August forecasts. Higher crude oil futures and a lower US dollar index lent outside market support. Sept wheat finished at $4.32 ¾, up 3 ¾ cents. Positioning ahead of Friday’s USDA reports left futures mixed. Sentiment that the USDA will increase the 2009/10 US wheat ending stocks, ample world supply, sluggish US export demand weighed on futures. The average trade estimate for 2009/10 wheat ending stocks is 743 million bushels. FranceAgriMer have increased it's estimate for French soft wheat production to 37.5 MMT. In a relatively quiet session November Paris milling wheat closed down EUR0.25 at EUR121.25/tonne, whilst London November feed wheat closed unchanged at GBP92.25/tonne. The BoE left UK interest rates on hold, which was widely expected, somewhat surprisingly sterling moved up on the back of that to $1.65 against theUS dollar. Farmers are very reluctant to sell at current levels, which are well below replacement, although consumers are also reticent to commit to tonnage at these prices. Japan bought 133,000 MT of wheat in it's usual routine weekly tender, 70,000 MT was US origin. FranceAgriMer increased it's estimate for French soft wheat production to 37.5 MMT. The overnight session closed narrowly mixed for once, with beans ending a cent or so lower and corn & wheat around a cent firmer. A weak US dollar and firmer crude were supportive. The American Petroleum Institute said yesterday that US crude oil stocks fell by 7.2 million barrels last week. That's a much bigger number than anticipated, the US Energy Dept. will release their estimate at 15.30 this afternoon, a day later than normal due to Monday's Labor Day holiday. Also a day late will be the USDA's weekly export sales report, that will be out at 13.30 BST tomorrow. Of more pressing attention even than that will be tomorrow's WASDE report and US production/stocks numbers. For soybeans the average trade estimate is 3.249 billion bushels with an average yield estimate of 42.359 bu/acre. Carry out forecasts for 2008/09 average 102 million bushels and 226 million bushels for 2009/10. Trade estimates for corn production average 12.901 billion bushels with an average yield of 161.376 bushels to the acre. The August USDA report pegged output at 12.761 billion bushels. Trade predictions for corn ending stocks for 2008/09 average 1.712 billion bushels and 1.768 billion bushels for 2009/10. For wheat 2009/10 ending stocks are predicted to be 769 million bushels, up from 743 million last month. Whilst there is no immediate frost threat in the forecasts for the next week, two Canadian cold fronts hitting the Corn Belt over the next few weeks that threaten this warm outcome starting next Wednesday, according to QT Weather. Although US soybean production will be record large, and plantings in South America also will likely point to record output there too, the US will have the export arena to itself until next March/April. Early calls for this afternoon's CBOT session: corn called steady to 2 higher; beans called 1 to 3 higher; wheat called steady to 2 higher. The Bank of England surprised nobody by leaving UK interest rates on hold today. They also said that they will not be increasing QE until they've spent all last month's revised £175 billion. That could take another two months they said (they should have got Mrs Nogger#1 on the case), leaving the door open for further increases down the line. The move seemed to reassure the market, as some participants appear to have thought more QE was on the cards this month, with the pound immediately leaping to $1.6650 on the news and above 1.14 against the euro. We now have to sit tight until Sept. 23rd to view the minutes of today's meeting. Everything now seems to be gearing up for massive soybean plantings in Argentina this season. The Buenos Aires Cereals Exchange have cut their estimate for corn area to 1.875 million ha., that's around 600,000 ha or 24% down on last year. Although some rain has fallen in Argentina this past week, plantings have got off to a slow start at just 3.5% complete, they say. They also say that wheat planting is finished at 2.8 million hectares, more than 40% down on last season's 4.7 million ha. Sunflower plantings will fall more modestly by around 100,000 ha they say to 2.1 million ha., with 7.8% of the crop in the ground so far. If all this extra land switches into soybean production then that gives us an additional 2.6 million ha of beans. With plantings last year at 16.0 million ha, that potentially gives us 18.6 million ha of soybeans this year. A return to 'normal' yields as in 2007/08 would potentially give us production of something like 51.15 MMT in 2010, a bumper yield as in 2006/07 would push that up to 55.8 MMT. Either one would be a record. The widely anticipated drop in Chinese soybean imports across the Aug/Oct period will not last long, according to the China National Grain and Oils Information Centre (CNGOIC). Although imports are expected to fall to around 2.0-2.5 MMT/month in the Aug/Oct period whilst they are busy with their own harvest and new-crop comes onto the market, monthly shipments by Nov/Dec are likely to be back up in the region of 4 MMT+ they say. That is likely to be good news for US producers, as supplies out of South America will likely be pretty much non existent by then, leaving the US as the only shop in town until the spring. The flip-side to that little story of course, is that it will come as a major shock to the system when China do eventually switch their imports away from the US to South America come March/April. "A man who was found pleasuring himself in a muckspreader at a Redruth farm has been sent to prison." The only thing I find astonishing about that is that the muckspreader got off without even a caution. Construction is in full swing at the Vivergo biofuel plant at Saltend, according to this article from the Yorkshire Post. Although it doesn't say when the plant will be up and running, Vivergo's own website still seems to be sticking with summer 2010. Presumably they aren't using the same builders as Ensus then?! The plant, requiring around 1 MMT wheat/year, will operate a grain intake open 18 hours/day, says the article, tipping 150+ loads of wheat/day. Vivergo commercial director Brenda Head, looking rather foxy, says that the plant will bring more stability to the market. Which is good. Plentiful supplies and slack demand means that malting barley prices are scarcely commanding a premium over feed barley, according to media reports. The global recession, and the public smoking ban, is also having an effect on demand from the beer and whisky industries, with maltsters reporting that they are already well covered for the season. The largest European malting barley producer is France, they should have a total barley crop of 12.6 MMT this year, according to the Agriculture Ministry. That's an increase of 3% on last season's production of 12.2 MMT, and would set a new record. French analysts Strategie Grains estimate that 71% of this season's spring barley will make malting standard. Germany's barley harvest this season is expected around 12 MMT, of which an estimated 1.5-1.6 MMT is expected to be malting quality, and increase of around 15-20% on last season's 1.3 MMT. Malting barley prices in both countries have fallen to around EUR100/tonne, merchants say. Meanwhile in the UK, the late 2008 harvest and appalling weather conditions saw a large switch into spring barley plantings this year. According to the HGCA, spring barley plantings in the UK were up 22% to 727,500 hectares. ADAS say that spring barley yields are better than average at around 5.4 MT/ha, and quality is generally good, although persistent wet weather in Scotland, where almost 50% of the UK spring barley is grown, has caused quite a few rejection problems. Japan has bought 133,000 MT of wheat in it's usual routine weekly tender, 70,000 MT was US origin. The Romanian government may owe up to EUR100 million in VAT refunds on grain shipments from the country to some of the world's largest grain merchants, including the likes of Glencore, Cargill and Bunge, according to media reports. Rains in parts of NSW and Queensland last week may have come just in time to stop the wheat crop being downsized in next week's ABARE report analysts are saying. FranceAgriMer have increased it's estimate for French soft wheat production to 37.5 MMT. India's monsoon rains to Sept 7th are 20% lower than normal, the largest deficiency since 1972. Crude oil is over $72/barrel as OPEC say they will hold output steady, and the dollar remains weak. If there's one thing you can rely on it's that you can't believe a word a politician says. If that politician happens to be an Indian one, then multiply that up by seventeen, subtract 0.3 and add on your birth date to the power of three million. What are the slippery buggers up to this time, you ask. Well you will recall that the government there recently imposed a limit on the amount of domestic sugar stocks that any of the large companies such as Nestle, Pepsi etc could hold. They can hold any amount of imported sugar, just not Indian sugar. Well now it would seem there is talk of introducing similar restrictions on soybeans, edible oil and wheat. They've already extended a ban on exporting edible oil to last until September 2010, now they are proposing to impose stock limits on how many days usage food companies can hold. The government say that the measures will prevent hoarding and help arrest spiraling food prices in the world's second most populous country. It will not have escaped their notice that by going down this route they are effectively passing a large slice of the financial burden of having to import these products onto the multi-nationals. If they go ahead and introduce this legislation then it's a nifty bit of Ronaldo-esque footwork, the implications of which are pretty complicated. Short-term the move would likely drive prices lower. Any processors such as a flour miller or soybean crusher would effectively have to sell any wheat/bean stocks he's holding that are extra to the imposed limit (in the case of sugar that's fifteen days). Once any initial wave of stock-clearance has taken place, what happens then? If there's insufficient wheat or soybeans available on the domestic market, will the processors be forced to import? Or will the government suddenly and magically find the missing key to their stores and start to release stocks? In the case of wheat we are told that there is little stock in private hands anyway, whatever wheat is available in the country is behind lock & key, held by the government. How much is really there is open to question, around 31 MMT at the end of July was the official figure. If that quantity really is there, and it's fit for human consumption, both of which are highly debatable, that still wouldn't be enough to last until the 2010 harvest in March. Meanwhile poor monsoon rains leave a huge question mark hanging over crop production, and it's impact on demand, for summer crops such as rice, sugar cane and soybeans. Production and the timing of the harvest of these crops will also impact upon wheat and rapeseed plantings for the 2010 harvest. Despite the farm minster's protestations that August rains have improved the situation, rainfall is still 20% below normal on a national level upto and including Sept. 7th. In many of the major crop-producing areas of the country it's worse, in Andhra Pradesh 21 of it's 23 states have declared a drought, here monsoon rains are 30% lower than the 50-year average. UK supermarket chain Morrisons appear to be doing something right, reporting a leap in FH pre-tax profits of 22% to £359m as turnover rose from £7.1 billion to £7.5 billion. Like-for-like sales excluding VAT and fuel climbed by 7.8%. The company said that it had attracted a million new customers in the last two years, and I'm probably one of them. I only go in to see Lulu and Alen Hansen of course (do you reckon he's, you know, 'fixing her wonky trolley'?). Certainly whenever I do pop in the staff seem generally happier, friendlier and more willing to assist than some of it's rivals' stores, making it a better shopping experience. The local ASDA on the other hand seems to be staffed by an unfortunate combo of eastern Europeans who look like they just clambered out of the back of a cross-Channel lorry, sixteen year old spotty-faced numpties who can barely string a sentence together and the token club-footed, deaf, mute, black lesbian uni-cyclist. They've taken her on not because she empties a lot of boxes, she just ticks them. September soybeans finished at $9.61 ½, down 7 ½ cents, November closed at $9.28 ½, down 8 cents. The USDA will share the monthly supply/demand and soybean production report on Friday. The average trade estimate for soybeans is 3.249 billion bushels with an average yield estimate of 42.359 bushels to the acre. Carry out forecasts for 2008/09 average 102 million bushels and 226 million bushels for 2009/10. Whilst there is no immediate frost threat in the forecasts for the next week, two Canadian cold fronts hitting the Corn Belt over the next few weeks that threaten this warm outcome starting a week from today, according to QT Weather. September corn closed at $3.05 ½, up 2 ¾ cents, with December at $3.09 ¾, up 2 ¼ cents. The USDA will release the monthly crop production and supply/demand report on Friday. Trade estimates for corn production average 12.901 billion bushels with an average yield of 161.376 bushels to the acre. The August USDA report pegged output at 12.761 billion bushels. Trade predictions for corn ending stocks for 2008/09 average 1.712 billion bushels and 1.768 billion bushels for 2009/10. Taiwan purchased 60,000 tonnes of US corn overnight. September wheat closed at $4.29, down 2 ½ cents. Spring wheat harvest remains behind average at 58% compared to 86% last year and 88% for the five year average. Spring wheat condition ratings are 7% poor/very poor and 74% good/excellent a 1 point decline in the good/excellent and 2 point decline in the poor/very poor ratings. Global production numbers keep getting bigger, with France, Russia and Ukraine all increasing their output estimates in the past 48 hours. It will probably come as no surprise to hear that EU wheat futures extended their fall from grace, closing lower again Wednesday with Paris futures setting fresh contract lows and London dipping to 2009 lows. November Paris milling wheat closed down EUR1.50 at EUR121.50/tonne, whilst London November feed wheat ended down GBP0.75 at GBP92.25/tonne. Everywhere you look wheat crops simply keep getting bigger. Ukraine and the Czech Republic being the latest in a long line to increase their production estimates today, hot on the heels of France and Russia earlier in the week. Meanwhile export business remains scant, and what few orders are around are being fought over aggressively. A weak dollar is doing little to help the cause of EU wheat this week either, making US wheat more competitive on the export arena. With seemingly just about every country in the world reporting better than expected grain production, Ukraine have thrown their hat into the ring increasing the size of this season's crop from 42-43 MMT to 45 MMT, according to the Agriculture Minister. Exports in the current marketing year will now total 18-20 MMT, up from earlier estimates of 17 MMT, he says. These figures are still behind last year's record output of 53.3 MMT and exports of 24.5 MMT, but reflect a trend towards better than expected yields that are being reported across almost the entire northern hemisphere. Traditional Scottish weather of high winds and driving rain has delayed the opening of the Robin Rigg wind farm located off the coast of Cumbria and Dumfries and Galloway. The site was scheduled to begin supplying electricity to the grid at Seaton early in the summer but last-minute work was hampered by bad weather. Delays have plagued the £330 million project a number of times, some of which have been due to weather conditions and others related to contract issues. When the project is finally up and running it is expected to provide enough energy to power as many as 120,000 homes. In line with just about every other country in the world, the Czech Statistical Office have revised their 2009 wheat production estimate for the country up from 4.1 MMT to 4.4 MMT, following better than expected yields. This season's barley crop is also revised up from 1.9 MMT to 2.1 MMT, and rapeseed output from 1.0 MMT to 1.1 MMT. Cargill say that it is making a major investment in its feed plant in Sura Mica near the town of Sibiu, Romania, including the construction of a complete-feed production line within the current premix facility. Cargill said the project also consists of an upgrade to the existing mixing system, the installation of a pelleting line and the addition of a warehouse to store finished products. The project will result in an increased capacity of nearly 50,000 tonnes/year, say Cargill. I wonder if they make nuts for your dancing bear? And if they did what would they be called? The Russian Ministry say that the 2009 grain harvest stood at 70.8 MMT as of Sept 8th off 28 million hectares, averaging 2.53 MT/ha. The wheat harvest as of Sept 8th stood at 45 MMT and the barley harvest at 15 MMT, they say. Progress is around 10-14 days behind last year. There's still around 19 million hectares left to harvest they say, if that yields 2.5 MT/ha then we have another 47.5 MMT still standing in the fields, making for a total crop of 118 MMT, 10 MMT more than last year. The ministry's official estimate is still only 85 MMT, although they did concede a few days ago that production might come in 9-14% higher than this. A 14% increase would give us 97 MMT. It will be remembered that the ministry consistently under-estimated the size of last years crop by some significant magnitude. SovEcon say that this season's grain crop will be 94-98 MMT, and that wheat will make up 60 MMT of that. I read with avid interest this morning that my old chums at Milk Link have proudly announced the opening of a new Innovation Centre located at the multi award-winning Taw Valley Creamery in Devon. Way to go, I will certainly be paying it a visit next time I'm in the area. To kick off the opening with a bang they've launched a new product: Tickler…Cheddar That Spreads. I see that you have been busy opening a new Innovation Centre and guess that is probably why you haven't been able to find the time to respond to my previous letter. Luckily for you I too have been very busy clearing the shed out for winter, so despite repeated efforts by Arla and Dairy Crest to secure my business, my order is still very much yours to be won. You will recall, if you check your records, that I'm in the market for six months supply of free milk, having grown tired of my existing arrangement with Arthur my local milkman and his irritating electric milk float that sounds like a Dalek whisking up my road at 6am. I've checked with my solicitor, and he says that a verbal agreement, such as the one that exists between Arthur and myself, can be terminated by either party at any time. That leaves the door open for Milk Link to step in and commence supplying me without any legal ramifications. If Arthur decides to play difficult, don't worry I can handle myself and I have got a border terrier. Just in case though, it may be an idea to make sure that the delivery lad is fairly 'handy' if you get my drift. Not that I'm condoning violence you understand, but it's sadly a dog-eat-dog world we live in and Arthur may take exception to you muscling in on his 'turf' I think they call it. In a nutshell all you have to do is supply me with free milk for the next six months and I will consider paying for it after that. Seeing as you are now launching Tickler…Cheddar That Spreads, you may wish to also tender for my cheese order. I'm all for helping you get a new product off the ground, but warn you that you are going to have to undercut some serious competition from Mr Jackson, my local cheesemonger. He already supplies me with all my cheese-related requirements for free, so I'm afraid if you want to get Tickler into my fridge you are going to have to do better than that. Please note that formal written tenders must be in by 5pm Friday 11th September, so you are going to need to get your skates on. Please clearly mark your sealed bid MILK or CHEESE as appropriate, to enable your tender to be processed as quickly as possible. Happy bidding. PS the Arla lads are coming down the path right now, I'll pretend I'm not in. India's farm minster says that following 'plentiful' rains in August the country's winter wheat area will increase by 15%, producing another bumper crop in 2010. In the time-honoured style of a politician lying through his back teeth, he then goes on to say that he is 'just waiting for the sowing position of the rabi (winter-sown) crop' before releasing any government-owned wheat stocks onto the domestic market. 'If rabi sowing is smooth...we will sell stocks,' he says. Winter wheat sowing isn't finished in India until November, which seems to imply that the government won't be selling any wheat stocks for a good few months yet. That's a direct contradiction to what they have been saying for at least a month now. Domestic supplies are tight with stocks held in private hands dwindling, the people are going hungry whilst the government supposedly have 30-32 MMT of wheat in store. The only problem the government have is where they are going to store next season's bumper crop, the farm minister cheekily adds. Well, there's an obvious solution to that problem, so why aren't they taking it? I smell an enormous rat. Last night's USDA report threw up few surprises. Corn was 69% good/excellent, the same as last week. Development is still slow at 50% dented compared to 75% normally and 8% mature versus 23% on average. Beans good/excellent fell one point to 68%, 7% of the crop is dropping leaves compared to 18% normally. The spring wheat harvest is still well behind schedule with top producing state of North Dakota 44% done compared to 86% normally. Winter wheat planting has just got going at 5% complete. Celeres say that 64% of the 20010 Brazilian soybean crop will be GMO, that's up from 62% last season. China's official think tank CNGOIC have trimmed their estimates for corn and wheat production due to drought. Their corn estimate has been reduced by just 1 MMT and wheat by 550,000 MT. Both cuts are significantly lower than private trade estimates. No surprises there then. Also of no surprise will be the news that everything is looking Hunky Dory in India, according to the country's farm minister. August rains were plentiful and winter wheat sowings will increase by 15% this year, he says. September soybeans closed at $9.69, up 8 cents, November $9.36 ½, up 14 ½ cents. A weak dollar and firmer crude were supportive. Celeres estimates 92% of the 58.2 MMT Brazilian 2008/09 soybean crop has been sold by the farmer, and 13% of the 2009/10 crop. The USDA said that there were 97% of the soybeans setting pods on today’s progress report. That is one point ahead of last year and 2 points behind the five year average. Soybeans dropping leaves were at 7% compared to 9% last year and 18% for the five year average. Condition ratings were 8% poor/very poor same as last week and 68% good/excellent, a one point decline from last week. September corn closed at $3.02 ¾, up 2 ¼ cents and December at $3.07 ½, up 1 ¼ cents. As with beans a weak dollar and firmer crude oil helped corn today. The USDA's weekly progress report stated 86% of the corn was in the dough stage compared to 75% last week and 94% for the five year average. Corn denting was at 50% compared to 59% last year and 75% for the five year average. Corn considered mature was at 8% compared to 10% last year and 23% for the five year average. Crop condition ratings were 9% poor/very poor and 69% good/excellent same as last week on the good/excellent and a 1 point improvement in the poor/very poor category. September wheat finished at $4.31 ½, down 12 ½ cents, with wheat basically in a free fall despite the lower US dollar. Today’s crop progress report showed 5% of the winter wheat planted, on par with the five year average and 1 point ahead of last year at this time. Spring wheat harvest remains behind average at 58% compared to 86% last year and 88% for the five year average. Spring wheat condition ratings are 7% poor/very poor and 74% good/excellent a 1 point decline in the good/excellent and 2 point decline in the poor/very poor ratings. Suddenly, nobody wanted his gnomes, and he had a warehouse bursting at the seams, full of fifty million of the buggers, an entire year's production. Russian and Ukrainian gnomes flooded the market. Egypt were buying gnomes that were really only elves with forged papers. That's right, he decided to produce even more of the buggers the following year, pinning all his hopes on the magical intervention of the gnome fairy. She'd visited once before in the last two hundred years, maybe she would come back twice in quick succession? He now lives in a pauper's prison near Abingdon. EU wheat futures closed lower yet again Tuesday, extending their decline with November Paris milling wheat ending down EUR0.75 at EUR123.00/tonne, and London November feed wheat closing down GBP1.20 at GBP93.00/tonne. It seems like it's a one-way street to oblivion, and it's pretty difficult to see what is going to change things at the moment. Sharply lower plantings for the 2010 crop might help, but it's quite difficult to imagine that happening right at this moment in time. From a growers point of view, after an all to brief period of fund-driven euphoria, everything has got right back to where it started. The French Ministry increased their production estimate today for soft wheat to 37.2 MMT, that tops 2008 output despite a lower planted area. That scenario is being replicated across much of the northern hemisphere, everywhere you look production is increasing on what was expected earlier in the season. Unless winter sowings are sharply reduced, which seems unlikely, it's going to take an international disaster to turn this market around. The overnights closed mixed, with beans ending mostly around 13-15 cents higher, and corn & wheat generally a cent or so either side of unchanged. Corn dipped below $3/bu in early trade but regained some strength as the dollar weakened, and crude oil firmed ahead of this week's OPEC meeting in Vienna. Crude is currently more than $2/barrel higher, back just above the $70 mark. Today's early weather forecasts from the US continue to point to no frost threat for the next fortnight. The USDA are out on Friday with their latest production estimates, and before that they will pontificate on crop conditions tonight. Expect more fuel for the bears in that lot. Meanwhile, crops numbers everywhere else seem to be growing too. The French have upped their estimate on soft wheat production to 37.2 MMT, that's more than last year despite a lower acreage. China sold almost 2 MMT of corn at their weekly auction today. Some stories suggest that the reason these corn offers are being taken up so relatively eagerly is that this season's crop will come in substantially lower than official estimates. They'll hold another soybean auction tomorrow, but don't expect too many takers there. Japan is looking for 133,000 MT of wheat thus week, of which 70,000 MT is US origin. Taiwan is shopping for 60,000 MT of US corn. Early calls for this afternoon's CBOT session: corn called steady to 2 higher; beans called 10 to 15 higher; wheat called steady to 2 lower. This season's French soft wheat crop is now seen slightly higher than last year's production of 37 MMT, say the French Ministry. They now peg output at 37.2 MMT, citing near record yields, despite earlier concerns that July rains might have harmed the crop. Quality is also said to be largely very good this year. November Paris milling wheat set a fresh contract low of EUR122.75/tonne today, that's EUR88.45/tonne down in the last twelve months. "Farmer uses pigs to scare away gay cruisers" from Pink News (come on, we all read it). Strange but true. Saddled with debt, Indian farmers in drought-riddled Uttar Pradesh, have hit upon a novel way of raising a few bob. They're selling their wives for between 4,000 and 12,000 rupees, roughly £50-150. Apparently the good looking ones fetch the highest prices. 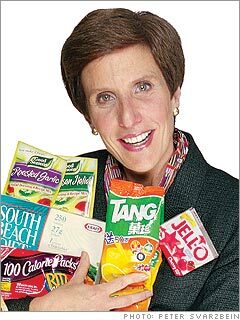 I wonder idly how much you'd get for Kraft boss Irene Rosenfeld? "You can only have a fiver for her mate, she's got a 'tache and an Adams apple the size of a watermelon. Christ, look at the size of those feet. There's not much call for them see, not in that colour. Good runner you say? She'd need to be with a face you'd never tire of slapping. No we don't do part-ex, I tell you what I'll take the monkey instead." The Argy farmers strike is over for the time being, although the gloves seem very much still in the off position. It's not been running quite as long as The Mousetrap, but it's getting there. Eduardo Buzzi, head of the Small Farmers Association FAA, says that the farmers will "keep fighting" whilst the head of Coninagro, Carlos Garetto, said Argentina would be a better country if the officials of the government "opened their eyes a little more, and keep their mouths shut". Not something that politicians are famed for. The Argentine Rural Confederations Association meanwhile accuse the government of "lacking interest to solve the problems of the farming sector" and blasted the recent presidential veto on a law granting export duties exemptions for farmers worst affected by the drought. Ariel Franetovich, newly appointed to the poisoned chalice post of minister of agricultural affairs of Buenos Aires province, said that he did not "have any animosity against farmers". They don't believe him. Franetovich last met with farming organizations in his province in April, when he reportedly said he would not publicly support their demands. Oil World says that EU-27 sunseed production in the marketing year 2009/10 (Aug/July) will be 6.7 MMT, fractionally lower than the 6.8 MMT produced in 2008/09. Output in Europe's largest producer France is pegged at 1.7 MMT (1.6 MMT last year), in Hungary at 1.3 MMT (1.5 MMT), in Romania at 1.2 MMT (unchanged), in Bulgaria at 1.1 MMT (1.0 MT), and in Spain at 730,000 MT (820,000 MT). Oil World has left it's estimate for the 2009/10 EU-27 rapeseed crop unchanged at 20.3 MMT, a 7.4% increase in the 18.9 MMT produced in 2008/09. EU-27 imports are now seen at 1.9 MMT, down from last month's estimate of 2.2 MMT, and 40% lower than the 3.2 MMT imported in 2008/09. Crush is estimated at 21.3 MMT, 1 MMT up on last month and 5.4% higher than last season's 20.2 MMT. Ending stocks are now forecast at 1.3 MMT, from 1.2 MMT last month and 1.6 at the end of 2008/09. It's early days yet, but I'd expect 2010/11 production to be significantly higher again not just here in the UK, but also in Europe and Ukraine. I'll go for 22-22.5 MMT next season. Corn dipped below $3/bushel in early overnight trade, it's lowest in three years, as the trade gears up for another production increase from the USDA on Friday. A weak dollar sees the pound up to the dizzy heights of $1.65 this morning. Indian wheat prices are ignoring the rest of the market, hitting a three week high this morning on strong demand and tight supplies. The government are still to release any of their own state-owned stocks onto the domestic market. The Australian Bureau of Meteorology say that "for the 8-month period from January to August 2009, serious to severe rainfall deficiencies remain evident over the south coast of NSW and over central and eastern Victoria." Their definition of a serious deficiency is rainfalls in the lowest 5-10% of historical totals, anything is the lowest 5% is a severe deficiency. Sunflower harvesting has kicked off in Ukraine, early yields are disappointing and oil content is lower than normal, according to media reports. This season's crop will come in around 6.0 MMT, compared to 6.5 MMT a year ago, say the Agriculture Ministry. The corn harvest is also underway, and will produce around 10 MMT this year, 12% down on last year's 11.4 MMT, they say. Winter grain planting there this year will fall 5.7 % to 7.78 million hectares, they add. Kazakhstan is a quarter through it's grain harvest producing almost 4.9 MMT, with yields better than last season, according to the Minister of Agriculture. Taiwan is looking for 60,000 MT of US corn in a routine tender. EU wheat futures were pounded lower from the outset of trading Monday, with November Paris milling wheat ending down EUR1.75 at EUR123.75/tonne, and London November feed wheat trading down GBP1.10 at GBP94.40/tonne. Paris November wheat set a new contract low, and London November wheat fell to it's lowest levels of the year. Generally better yields than expected across most of Europe, were backed up by news that even the normally cagey Russian agriculture Ministry had finally admitted that grain production there would come in higher than their previous estimate of 85 MMT. This season's wheat crop is now expected to come in around 60 MMT, down slightly from last year's 63.7 MMT, but much better than early season estimates of 55 MMT. The US was closed today for the Labor Day holiday, providing little direction, the pound however was higher which added some bearish pressure to UK wheat. On the export front fresh orders are few and far between. Egypt booked a combo of French/US and Russian wheat last week, EU wheat export licences are just about matching last season's pace, but it's early days yet and the current pace needs to be maintained for the rest of the marketing year. Still competition remains from the likes of Russia and Ukraine, and the UK's main export home of Spain seem to have plenty of wheat to satisfy their needs for the time being. Failed milk co-operative Dairy Farmers of Britain owed £59 million to HSBC when it went pop, according to a report from the receivers PricewaterhouseCoopers. HSBC will get £55 million of that money back, say PwC. Unfortunately that isn't the case for unsecured creditors, who are left to swing and will get four-fifths of bugger all. DFoB was riddled with a flawed business plan, poor management and bad decision-making says the report. "Farmers will be looking for somebody to blame for the pain and losses they have experienced and many of our members have questioned the integrity, professionalism and ability of DFB executives and council members in light of its collapse," said the NFU last week. There's a big news story going round today that Kraft have bid £10.2 billion for Cadbury's, you might have read a bit about it already. Cadbury's (appropriately enough the manufacturers of chocolate fingers), have told Kraft boss Irene Rosenfeld to stick her bid. Bit of potential comic value there I think, on a quiet the US is shut sort of a day. Until I Google for a pic of Ms Rosenfeld, just in case she's a babe. Oh my Gawd, trust me this woman is far from being a babe, in fact she is about as far removed from babedom as it is possible to be. Think Alan Partridge with a bit of lipstick on. Think severe beating with an ugly stick, and remember this is a publicity shot, what on earth does this look like at 7.30 am?? Oh my lord, never is it possible to drink so much beer that you would find Ms Rosenfeld attractive. You've heard of a ten pinter, this is a quantitative easing 175 billion pinter. I mean, I've seen some ugly women in my time, I even married one, but this is right up there with the best. Just imagine the fight to get to the bathroom mirror to see who was going to get to shave first in the mornings. Right, deep breath. No I can't...yes you can...look away now if you don't want to know the score....right, here goes, here is Irene Rosenfeld. Tunisia have bought 92,000 MT of milling wheat from Invivo at $182.45 and 50,000 MT of durum wheat from Cassilo at $262.65, according to media reports. Decent rains in South Australia state mean that this season's wheat crop will come in at 3.3 MMT, 1.2 MMT more than last season's drought-affected crop, according to the state's official estimate. Ukraine has exported 4.28 MMT of grain so far this marketing year (to Sept 4th), according to the Ag Ministry there. The Russian Ag Ministry has admitted that it might harvest a bit more than the official grain crop estimate of 85 MMT, saying that yields in Siberia have been "extraordinary". Output will be 9-14% more than previously estimated, they say. An increase of 14% give us a crop of 97 MMT, exactly what SovEcon said a few weeks ago. The pound is up for reason's I simply cannot explain. Maybe it's got something to do with America being shut? It seems to be being associated with a return of risk appetite, well if it's risk you want you've come to the right shop with sterling. The BoE are meeting again this week, of course no movement is expected on interest rates, or to increase QE even further. They might however provide some pointers as to when any changes might be made. Soybeans have more downside in them according to Rabobank, and soymeal's slide could have another $80-100 in it yet, according to Oil World. After another washout summer, enterprising Irish farmers are to start exporting rain. "We've got so much of the blinkin stuff we thought we'd start shipping it abroad, so we did, to be sure," said Seamus O'Flatley of the newly formed Dundalk Irish Rain Exporters (DIRE). "We simply charter a boat, open the hatches, fill the bugger with rain, close the hatches and ship it to wherever it's needed," he said. Last week the group loaded the 55,000 MT panamax MV Bejesus bound for Argentina in just three hours. "There's a lot of demand out there. We've already signed contracts for next season's Cheltenham Festival and Wimbledon," he added before doing a little dance. ABF said today that it's earnings for the current financial year, which ends on September 12th, were likely to be better than it had previously forecast due to an improved performance from Primark. Sales at the discount sweatshop retailer are set to increase from 5% forecast in the first half to 7% in the full financial year, they say. I'm treating Mrs Nogger (#3 - the nice one) to a trip to Middlesbrough on Friday, so we might pop in and treat the kids to a few new bits and bats, so profits might come in a little bit higher yet. Our lovable mates the Indian government are at it again I see. This shower are as bent as Uri Geller's cutlery drawer. Monsoon rains June 1st- Set 5th are now only 21% behind normal they gleefully announced today, completely glossing over the fact that this makes 2009 the worst monsoon year since 1972. Rains in the northwest, where next season's wheat will shortly start to get planted, are now 'only' 34% down, they add. Meanwhile they've extended a ban on edible oil exports to September 2010. "Don't panic, there's plenty of food to go round, loads of it, and as soon as we find the key to the stores we're going to let you have some of it, honest." I recently stumbled across the UK-based website www.agrimoney.com which is well worth a look and provides loads of interesting articles about the markets absolutely free, something which I know is dear to your little hearts. They posted a story over the weekend saying that the Chinese corn harvest this year might be 20 MMT overestimated, and I thought that's quite a lot isn't it, 20 MMT? The story goes on to say that this might explain why the government's weekly auctions have been attracting far more interest for corn than beans. Of course the fact that the bean price equates to roughly $5/bu more than the price in Chicago might also have something to do with it, but I get their drift. According to our mates at the USDA, China will produce 162.5 MMT of corn this season, that makes them easily the largest producer in the world after the US. Indeed that is around a third of the world's production outside of the good old US of A. If we have a look at 09/10 ending stocks the USDA peg China at 57 MMT, that's 40% of the entire world's projected ending stocks, including the US. The official Chinese government think tank, the China National Grain and Oils Information Centre, might have overstated the size of their domestic production by 20 MMT just three weeks ago. That would cut Chinese ending stocks by more than a third. Didn't they see this coming? Has all this only happened in the last three weeks? They couldn't be lying surely? The notion of putting out deliberately erroneous figures by the world's largest stock-holder shouldn't entirely surprise. This is the country after all where it was considered normal practice to add melamine to animal feed. That balloon only blew up when someone got a little too greedy and started adding it to baby milk. Yes, if you will happily add toxic substances to baby milk for a few extra yuan, you certainly aren't going to shy away from adding the odd 20 MMT to the bottom line are you? Which of course beggars the question, is corn the only product they are doing this with? I think the answer is no Siree. China accounts for around 17.5% of the world's wheat crop and a third of global 2009/10 ending stocks, using the USDA's figures. It's already been stated on here a few times that it is more than a little strange that they got a record crop of circa 115 MMT this year despite a terrible drought. Did they really? Who's to say that they didn't overstate that by 20 MMT as well? Which leads us on from super-secretive and corrupt China to simply inept and corrupt India. Where are their wheat stocks? They keep telling us that they've got enough to last a whole year, so why aren't they releasing any onto the domestic market right now, as they have been promising for weeks? China & India combined account for 195 MMT or 30% of global wheat production, and 43% of world ending stocks for 2009/10, according to the USDA. How much of that is really there as well? America is closed for Labor Day. Yes I know, they can't spell properly, and they can't let us have a day off without having to have one themselves. With unemployment hitting 9.7% last week, it won't be very long before they have their own special day too.